Alicia Wiley's music has always defied genre classification, and her new band, All Eyes, is no exception. With a background in jazz and a tendency toward electronic experimentation, Wiley uses layered instrumentation and electronic beats to create what she calls dark electronica. 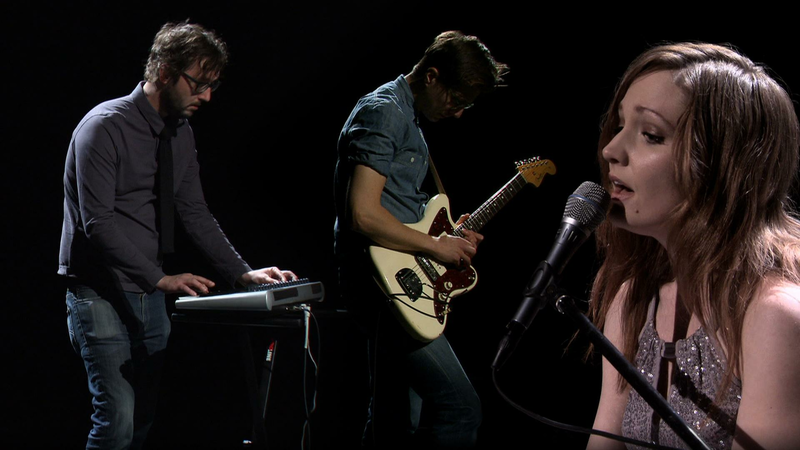 Here, All Eyes performs "Lost You Once" in TPT's Studio A.
Alicia Wiley’s music has always defied genre classification, and her new band, All Eyes, is no exception. With a background in jazz and a tendency toward electronic experimentation, Wiley uses layered instrumentation and electronic beats to create what she calls “dark electronica.” Here, All Eyes performs Lost You Once in tpt’s Studio A.
Alicia Wiley performs dark electronica in her new band All Eyes.